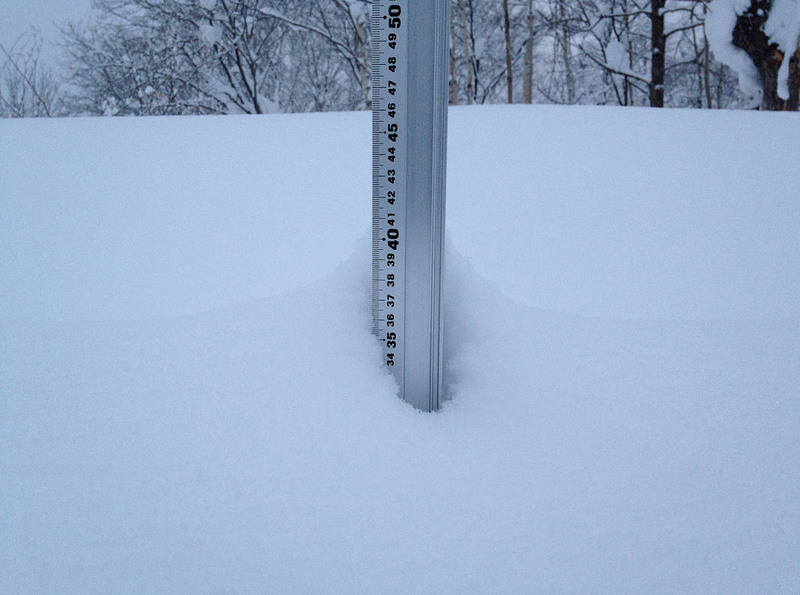 *9cm of fresh snow as fallen in the last 24hrs in Hirafu Village mainly overnight. At 07:30 today the temperature was -3°c with strong winds and heavy snow fall. Yesterdays heavy rain melted a lot of the snow bulk around Hirafu Village and the mountain and the snow level has dropped 30cm and the base and peak of the mountain. The good news is that the thaw freeze cycle will consolidate the snow pack on the mountain setting up a great base for the season. Substantial snow fall is predicted throughout the week with temperatures dropping slowly. Always good to be careful on day like today with a nice light fluffy layer of snow sitting on solid ice. Conditions should be fun on the groomed runs today!